When an incident occurs, notifying staff and any visitors on site of what to do and where to go is a critical step of your emergency response protocol. 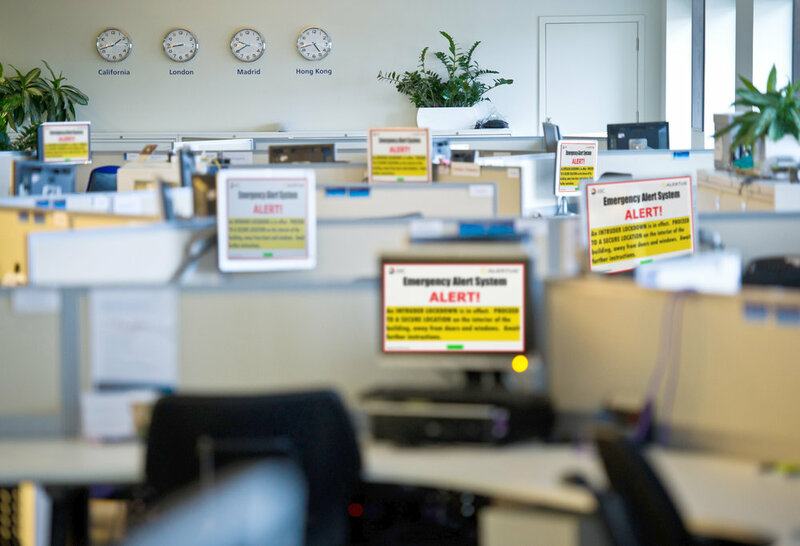 A reliable emergency mass notification system can help you achieve this by quickly getting important information out to as many alerting endpoints as possible. The most effective way to accomplish this is to use the technology and assets that you already have on hand. Media facilities’ asset-rich environments make it easy to create a layered approach that can reach more people in more places. Televisions, digital signage, computers, mobile devices, and desk phones can be used in emergencies as ADA-compliant, audible and visual alerting devices, to guarantee that people receive critical information. Leveraging mobile devices for personal notification also delivers the peace of mind that whether people are in the facility or on-the-go tackling a big story, they are never without potentially life-saving notification. Learn more about leveraging existing technology to build an emergency mass notification system. Effective systems also provide numerous, instant activation methods for rapid notification deployment. For example, various panic buttons can be integrated into the notification system with predetermined functionality. When an emergency transpires, the push of the button can immediately send the right message to the appropriate alerting endpoints in mere seconds, allowing dispatchers to quickly respond to the emergency, remove the chance for human error in a stressful situation, and perform the necessary actions for their own safety.